Rent Austin's Tallest Water Slides! The Blue Crush Water Slides is absolutely awesome! It stand above your guests at 27ft. and has a total length of 65ft! 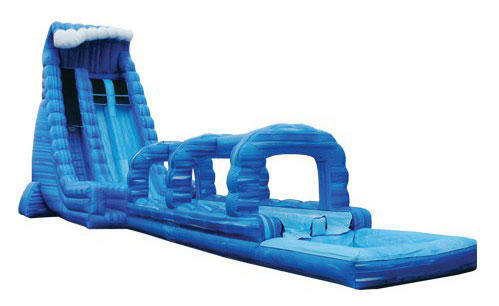 You get dual lanes for double the fun, with super fast Slip & Slide and splash pool. If you have the space for a great attraction like the Blue crush you won't be disappointed.